If you are looking for an alternative to the typical tourist experience, choosing to volunteer abroad with Projects Abroad may be the perfect way to get off the beaten path and make a difference! 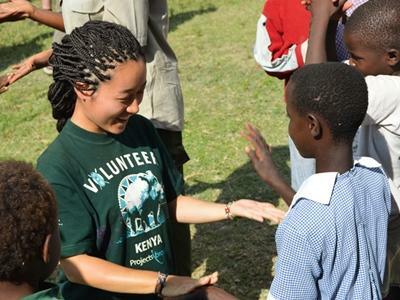 More than 10,000 volunteers travel abroad with us annually. We are one of the leading alternative travel options out there, with hundreds of types of projects in more than 30 developing countries. With us, you can travel to an exciting new country and interact with local people, discover their culture, and make a lasting and positive impact on their lives. This experience gives you a greater insight into the country compared to the average tourist. Our alternative travel programs can last anywhere from one week to several months. The start and end dates are flexible, and you can choose the project and destination that appeals to you. 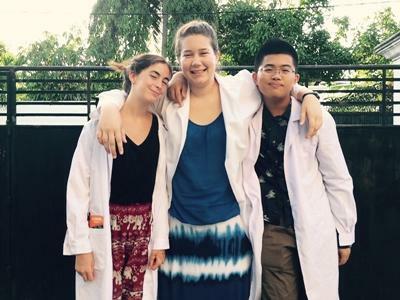 Whether you choose to work with children and contribute to Early Childhood Development in Ghana or contribute to marine conservation efforts in Thailand, you will be making a lasting contribution to your placement and the local community, and improving the lives of numerous people. During your time abroad with us, you will meet volunteers from all over the world who share the same desire to travel and make the world a better place. High School Specials: for high school students between the ages of 16 and 19. Grown-up Specials: for volunteers over the age of 50. Chinese New Year Specials: for volunteers of all ages. Winter Break Trips: for volunteers of all ages. At Projects Abroad we value cultural exchange and helping not only the local people, but also the local economy. We employ nearly 700 local staff across all our destinations and recruitment offices, and our volunteers benefit enormously from the knowledge and expertise the staff bring to the table. If you would like information about our alternate travel experiences, request a free brochure now or get in touch with us.